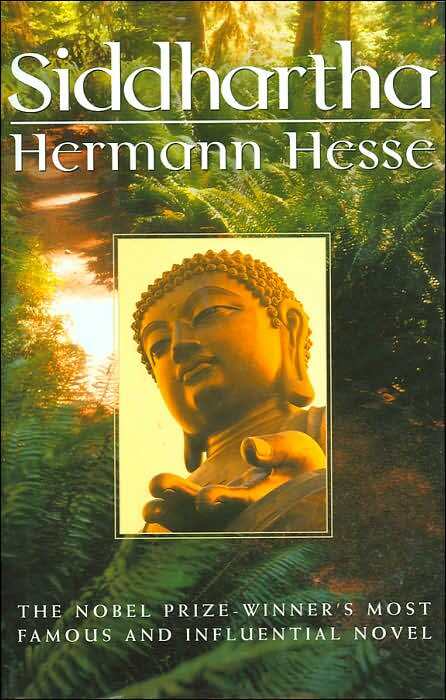 Siddhartha is a classic book that needs little introduction. This book has been recommended to me countless times, but I got around to reading it only now. Siddhartha is a young precocious Brahmin, astute in his knowledge of the vedic scriptures. He is deeply driven by the spiritual quest to comprehend the Atman - the soul and the definition of Life that exists in every species and unites them all in the causal sphere of the Cosmos. He hence leaves home to be trained by the Samanas, the ascetics who wander in the forests trying to conquer their minds and their Self through rigorous meditative techniques. But his sharp intellect still doesn’t derive any answers. He encounters Buddha, but he argues against the idea of following a set of teachings to reach the path of enlightenment, and so he sets out on his own journey led by his inner voice. He sinks himself in the material world (Samsara), allows his senses to take control over his body, experiences a rich array of emotions, and finally realizes for himself the design of all living species, and the answers to his questions. I’m sure each person who reads this book will have something different to take away from it. To me, the book was a beautiful synthesis of the Eastern and Western philosophical ideals. The eastern philosophy preaches that one should suppress their sensory indulgences (for they are transitory experiences, often leading to discontentment) and focus on refining their intellect and gaining mastery over their minds. It prescribes detachment from materialistic pleasures to realize the Self - the Atman. To me, this has always sounded a bit extreme. I could never understand how the intellect could develop holistically, completely devoid of our senses. I understand that over-indulgence in our sensory experiences is shallow, but our senses do contribute to the growth of our intellect. I think this aspect is brought out well by Hesse. If someone who has never tasted or experienced the feeling of sweetness is stipulated against eating anything sweet because too much sweetness results in cloying nausea and bad teeth, the person’s limited experience and knowledge of sweetness bars his mind from understanding the complete meaning behind satiation or feeling repulsed. And it’s unrealistic for a teacher to translate the experience of sweetness or feeling cloyed through words and preachings. This is especially true for something as abstract as spiritual awareness and realization, which are exceptionally hard to convey through words. It is for us to experience. The western ideology lets us wander, choose our experiences, and then judge for ourselves through our mistakes and lessons. The lessons learned, the “awakening” of wisdom then is much higher, profound and complete. Buddha himself was born in materialistic luxury and having indulged in them and realizing the shallowness and illusion of it all, he relinquished his ties to the material world with a deeper consciousness and awareness. Our journey and different experiences help us grow. Most of the time, our focus is too narrowed in on the goal itself, that we miss experiencing the journey. The more value we derive out of the journey, the more we benefit. As an ascetic, Siddhartha was looking at the world and his questions through a narrow peep-hole, heavily constrained and tightened by his austere teachings. When he learned to see the world as is, without any filter, he appreciated it more and grew. 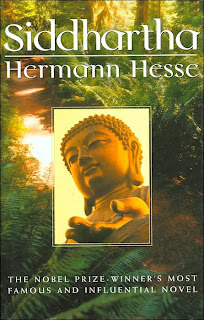 Another concept that Hesse brings out is the totality and constancy of everything around us. Just as how the concept of temperature cannot exist without the two extremes - hot and cold, good and bad, sorrow and pleasure, joy and pain exist with one another. Our universe is tightly coupled because of opposite polarities. It makes everything complete and unified. Finally, I liked how he brings in the theory that we are all bundles of energy that neither get created nor destroyed but only get constantly transformed from one form to another. The whole universe exists due to this delicate chain of energy transfer. We are all then part of the whole. Self-realization should lead to this all encompassing feeling of unison with the world. As with most books on spirituality, this has to be reread over the course of our life’s varied phases and experiences to extract our own nuggets of wisdom. I should add that the writing is simple and precise, making it conducive to ingest and mull on the heavy themes.